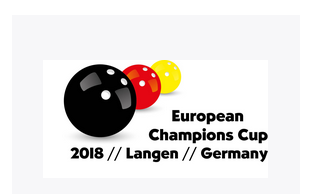 The German Bowling Federation (DBU) will welcome all participants, officials and friends to the ECC 2018 in Langen, Germany from the 22nd to the 29th of October. 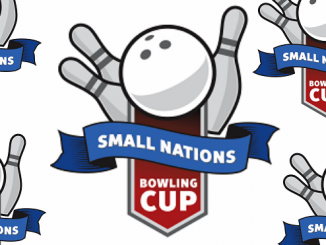 Forty Nations are listed to battle it out to claim the prestigious title. 40 nations are listed this year and for the home nations a mix of youth and experience. England have Samantha Hannan and two up and coming players. Scotland have experience in Tania Yusaf and Mark Kerr as do Northern Ireland and the sibling pairing of Lauren and Grant Dugan. Wales also sending experienced players in Louise Roberts and Steve Dalton. 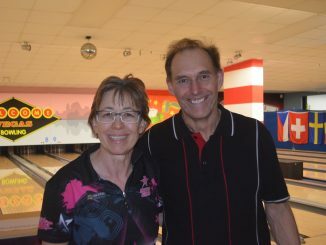 Tania and Steve have a busy couple of weeks as both travel to the USA for the Bowling World Cup after the ECC. The women were first up on Wednesday for the first block of 8 games. 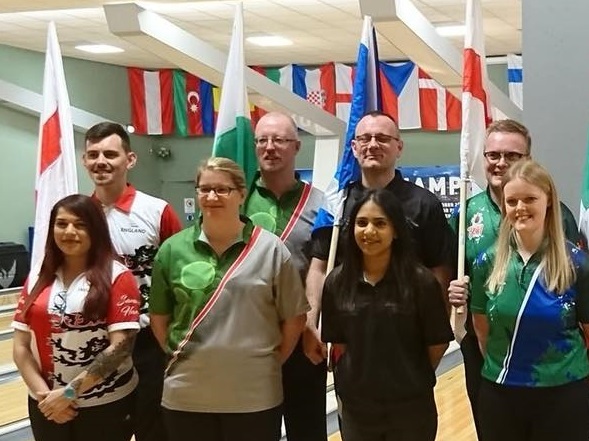 Chantal Jacobs sent the Netherlands into the top spot with 1743 as Finland’s Eliisa Hiltunen placed second with 1717 and Scotland’s Tania Yusaf in third with 1684. Group two were next up on the lanes and the Great Dane Mai Ginge Jensen hit the top after a 279 and never looked back to 1808 and leading the combined standings. A fine 280 in game one for Germany’s Nadine Geissler saw her in second with 1741 and third overall. France took the third spot in the block as Solene Goron hit 1698. Elsewhere for the home nations, with Scotland riding high in 7th overall with Tania Yusaf. England’s Sam Hannan fired a 289 in game two to lead for a time but tailed away during the towards the end to place 11th going into day two. Well inside the top 16 also was Wales Louise Roberts with 1610. Northern Ireland’s Lauren Dugan placed 35th with 1287. 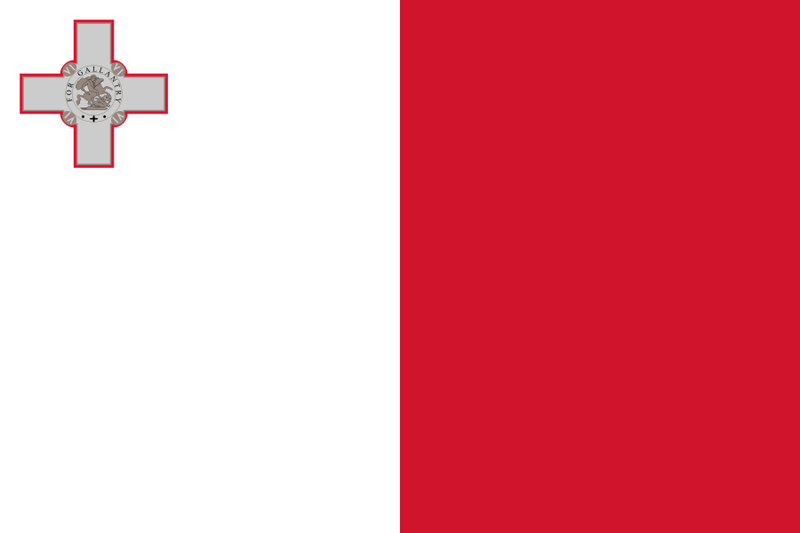 The men’s first block took to the lanes in the evening and some big games across the house but standing tall at the top at the end was the little nation of Malta thanks to Maurizio Anastasi or Mauro as all call him. 1864 is the early number to chase and Malta will be looking for Mauro the same in the second block. Second was Germany’s Bodo Konieczny with 1843 and third went to the Czech Republic’s Jaroslav Lorenc with 1834. Home Nation news and England’s Glen Bailey placed 11th with 1662 and Welshman Steve Dalton was 15th with 1592. Quick shout out to Latvia’s English bowler Daniel Vezis in 8th with 1690. Sweden’s Viktor Danielsson opened with a 274 then a 189 and 219 in a topsy turvy first few games but found enough to crash into the overall lead with 1874 after squad two of the Men. Second went to Finland’s Sami Konsteri with 1847 and into third behind Malta’s Maura Anastasi. Third in the block went to Italy’s Maurizio Celli with 1724. 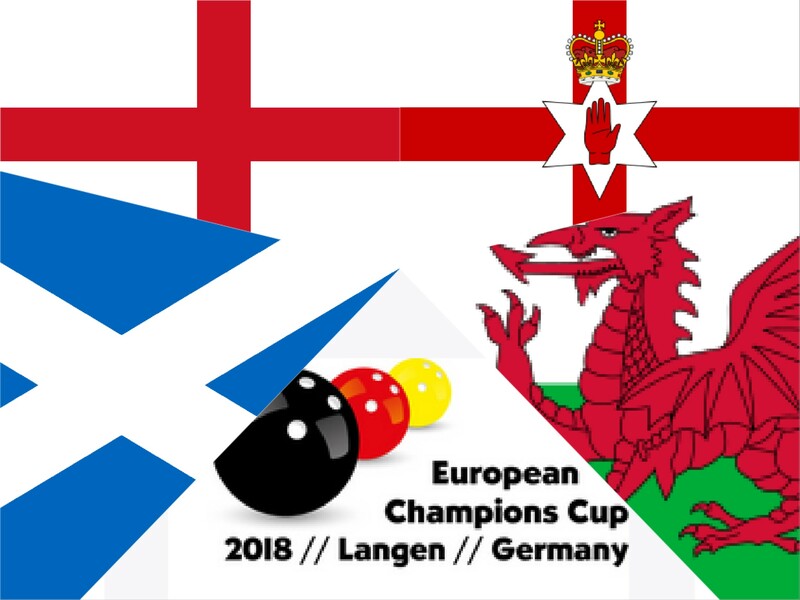 For the home nations, Scotland’s Mark Kerr started brightly but tailed away slightly in 14th with 1545 and Northern Ireland’s Grant Dugan had a nightmare start with 164,140,143 but showed what you want in a player by recovering with 200,191,220,180 and 218 for 1456. Going into the second set of 8 games England’s Glen Bailey is on the top 16 cut line with 1662 and a great second block could make all the difference for the chasing home nation men. The second block of 8 games were played over two squads during thursday and leading the field into the finals was Finland’s Eliisa Hiltunen with 3532 as early leader Mai Ginge Jensen from Denmark placed second and Frenchwoman Solene Goron in third with 3427. Also into the last 16 included Germany, Netherlands, Sweden, Scotland, Italy, Belgium, Russia, Greece, Norway, Iceland and Ukraine. Home nation news and Tania Yusaf took Scotland through in 7th as Samantha Hannan saw England advance in 9th. Elsewhere heartbreat for Wales as Louise Roberts missed out in 18th by just 32 pins. A good final day saw Northern Ireland’s Lauren Dugn move up to 32nd at the end. The first squad of men were back for the last 8 games and all hoping to grab that top 16 place. Belgium’s Mats Maggi took a little time to find a rhythm but when he did he blasted into the lead and ended with 267 and 279 for 1808 and into sixth overall. Denmark’s Jesper Agerbo placed second with 1799 and 5th overall as Germany’s Bodo Konieczny set off like a train in the block but tailed away and tied with 1799. Great news for England as Glen Bailey hit a solid 1774 for 5th in the block and 8th overall. Fantastic also for Wales as Steve Dalton rose through the field with 1705 to 11th overall. Our friends in Ireland will be happy today as Alan Bride hit a great 1772 and is in 7th with a block to go. No change at the very top after 16 games as Sweden’s Viktor Danielsson held firm with a second block of 1815 to take the field into the finals with 3689. Slovenia’s Nino Stenko placed second in the block but missed out on the top 16 in 19th as Israel’s Ron Berlov was third and just made the cut in 15th. Others through included Germany, Czech Republic, Malta, Lithuania, Denmark, Belgium, Finland, Ireland, England, Ukraine, Switzerland, Italy, Israel and Wales. They will be singing in the valleys tonight as Welshman Steve Dalton pulled off a second day recovery project to grab 16th spot and joined England’s Glen Bailey who finished in 10th. Great news for our local neighbours Ireland who saw Alan Bride through in 9th. It was sadly the end of the road for Scotland as Mark Kerr placed 30th and Northern Ireland’s Grant Dugan placed 34th. The was not the greatest starts Mai Ginge Jensen has had in her glittering career with a couple of 170’s and low 200 but then she switched a gear to record 268,258,223,209 and 221 to retake the lead going into the last 8 with 5242. Second was Germany’s Nadine Geissler with 5182 and third to Eliisa Hiltunen with 5177. The second 300 of the championships came in game one with Sweden’s Annie Thorell perfect and taking fifth place. Other though were France, Netherlands and Italy. Sadly the end of the road for 8 other players including our last two home nation hopes. Samantha Hannan Started well but struggled to keep pace later on dropping to 11th as Scotland’s Tania Yusaf failed to really get going and placed 12th. 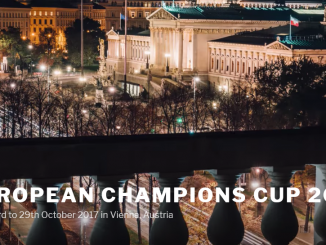 A great result for both though in a strong European field. Germany’s Bodo Konieczny made the early running in the 8 game block with a blistering set of three games with 267,287 and 243 but did not transition well and dropped to third with 5454 as Czech Jaroslav Lorenc ended with 248 and 266 to jump into the lead with Sweden’s Viktor Danielsson keeping pace in second with 5457. Others into the last 8 included Lithuania, Denmark, Finland, Belgium and Ukraine. It was the end of the road for the home nation men as England’s Glen Bailey opened with 279,201 and 254 but then struggled in the latter half to place 10th and just 34 pins off the cut. Welshman Steve Dalton admitted he was just delighted to get into the last 16 and gained a place with a spirited performance to end in 15th. Steve now moves onto the Bowling World Cup in Vegas at the end of next week. Another four games in the last 8 and no massive changes in the men’s event as Czech Jaroslav held the pole position with 6434 and Sweden’s Viktor Danielsson in second with 6364. Denmark’s Jesper Agerbo made his move and jumped into third with 6283 and pushing German Bodo Konieczny into fourth with 6263. Out went Lithuania, Finland,Ukraine and Belgium. Same four who were in the top 16 top places stayed there be it moving around a little. A non mover was the Great Dane Mai Ginge Jensen in first with 5863. Up to second from fourth was French woman Solene Goron with 6109 as Finland’s Eliisa Hiltunen took third with 6012 and fourth to Germany and Nadine Geissler with 5990. Out went The Netherlands, Sweden, Sweden and Italy. Shocks in the semi finals as the top two seeds both lost and went out to the tournament. Denmark’s Jesper Agerbo took out Viktor Danielsson 2-1 as German Bodo Konieczny defeated Czech Jaroslav Lorenc also 2-1. No shock in at least one of the matches in the women’s semi final as Dane Mai Ginge Jenson advanced to the final by beating Germany’s Nadine Geissler 2-0 as Eliisa Hiltunen from Finland sent home Solene Goron from France 2-0. If the men’s final is not regarded as a classic in the future you would have to wonder why. Dane Jesper Agerbo took the first game of the mens final 225-196 from German Bodo Konieczny but Bodo fought back to just shade the second game 242-236 and level the match. Then came one of the closest and most exciting finals ever as Konieczny again just edged a brave Agerbo 263-258 to be crowned the 2018 ECC male champion. To say Mai Ginge Jensen was a hot favorite to win the title would be a disservice to Finland’s Eliisa Hiltunen. The Finn had battled well all week to get this chance to win the title. The only trouble was that standing in her way was Denmark’s Mai Ginge Jensen. She had lead the event almost all week and was not going to let it slip now by taking the first game 248-203. Game two was closer but the Dane completed the job with a 215-204 and 2-0 win the claim the 2018 ECC women’s title.